Worsen depression after viscosupplementation treatment for geriatric people with knee osteoarthritis? Corresponding author at: Department of Orthopedics, Taipei City Hospital, Renai Branch, No. 10, Sec. 4, Ren’ai Rd., Da’an Dist., Taipei City 106, Taiwan. Table 1. Participant characteristics (N=102). Table 2. Changes of anxiety, depression, and pain over time after participants injected intraarticular hyaluronic acid. Table 3. Changes of knee function over time after participants injected intraarticular hyaluronic acid. Background/objective: Knee osteoarthritis (OA) in older people may result in psychological impairment, including anxiety and depression. This study investigates the effect of intraarticular hyaluronic acid injection (IAHA) on geriatric patients with OA. Method: A total of 102 geriatric patients with knee OA undergoing IAHA were prospectively enrolled in this study. Geriatric Depression Scale (GDS), State-Trait Anxiety Inventory (STAI), Western Ontario and McMaster University Osteoarthritis Index (WOMAC) and the International Knee Documentation Committee Subjective Knee Evaluation Form (IKDC), and Visual Analogue Scale (VAS) for pain were recorded. All outcomes were measured at baseline before injection and during two, four, and six month follow-ups. Results: IAHA had a significant short-term effect, relieving pain at the two month follow-up, but the effect was weaker at the four month follow-up. Both IKDC and WOMAC scores were significantly improved at the two month follow-up. Viscosupplementation did not improve STAI. GDS exhibited significant deterioration at the four month follow-up. Conclusions: Although IAHA for the treatment of OA provided short-term efficiency, it had no effects on anxiety and increased depression of geriatric people. Health education should be provided with caution before viscosupplementation treatment to manage expectations of the efficacy of treatment for geriatric OA patients. Antecedentes/objetivo: La artrosis de rodilla (AR) en personas mayores puede causar ansiedad y depresión. Se investiga el efecto de la inyección intra-articular de ácido hialurónico (IAAH) en pacientes mayores con AR. Método: Ciento dos pacientes mayores tratados con IAAH fueron inscritos de forma prospectiva. Contestaron la Geriatric Depression Scale (GDS), State-Trait Anxiety Inventory (STAI), Western Ontario and McMaster University Osteoarthritis Index (WOMAC), International Knee Documentation Committee Subjective Knee Evaluation Form (IKDC) y Visual Analogue Scale (VAS). Se evaluó antes de la inyección y durante el seguimiento a dos, cuatro y seis meses. Resultados: La IAAH produjo un efecto significativo a corto plazo, aliviando el dolor a los dos meses de seguimiento, pero el efecto fue más débil a los cuatro meses. Las puntuaciones del IKDC y WOMAC mejoraron significativamente a los dos meses de seguimiento. La visco-suplementación no mejoró la ansiedad. La GDS mostró un deterioro significativo a los cuatro meses de seguimiento. Conclusiones: Aunque la IAAH fue efectiva a corto plazo, no tuvo efectos sobre la ansiedad, y aumentó la depresión. Debe prestarse atención a la educación para la salud antes del tratamiento con viscosuplementación para controlar las expectativas de la eficacia del tratamiento en pacientes mayores con AR. Osteoarthritis (OA) is a chronic progressive joint disease, which commonly affects middle-age to elderly people (Helmick et al., 2008; Lawrence et al., 2008). Symptomatic knee OA occurs in 10% of men and 13% of women aged 60 years or older (Zhang & Jordan, 2010). The major goals of OA treatment are pain reduction, joint mobility improvement, and functional impairment limitation. Although the late stages of this condition are often treated by joint replacement, various conservative treatments for knee OA provide short-term effects and have their own advantages and disadvantages (Richmond et al., 2010). Intraarticular hyaluronic acid (HA) injection is currently one of the most popular conservative treatments. Intraarticular HA injections may improve joint lubrication, increase synovial fluid viscosity, and inhibit proteoglycan degradation; the consequent analgesic and anti-inflammatory effects reduce pain (Day, Brooks, Conaghan, Petersen, & Multicenter Trial, 2004; Johansen et al., 2016). However, controversy surrounds the efficacy of viscosupplementation treatment especially in the geriatric population, who are vulnerable to chronic pain as a result of knee OA (Newberry et al., 2015). Geriatric people with OA knee may gain less benefit from intraarticular HA injections than younger people (Pelletier et al., 2018). Depression occurs commonly in the general population and especially older adults (Serby & Yu, 2003). Approximately ten percent of the geriatric population suffer from severe anxiety and depressive symptoms (Al-Butmeh & Al-Khataib, 2018). Depression is known to be a significant contributor to poorer health outcomes and to be the leading cause of disease, causing nonfatal health outcomes (Moussavi et al., 2007). Several factors have been reported to be associated with depressive symptoms including sleeping quality and underling disorders such as cerebellar degenerative disease (Brandolim Becker et al., 2018; Nieto, Hernández-Torres, Pérez-Flores, & Montón, 2018). Nevertheless, knee OA, which commonly affects elderly people, is also associated with depressive symptoms especially among geriatric population (Sugai et al., 2018). A study of older adults with OA across six European countries has demonstrated that severe and stable joint pain is associated with anxiety and depressive symptoms in older people with OA (De Koning et al., 2018). However, given that the clinical results of intraarticular HA injection vary among elderly OA patients who may simultaneously suffer from psychological conditions of various severities, whether the effect of viscosupplementation treatment on the improvement of knee pain may also relieve psychological symptoms is questionable. Recently, biological evidence has revealed the link between psychological symptoms and HA-CD44 signaling. HA was reported to have contradictory dual functions in the inflammatory process. It can promote the inflammation (Menezes, McAvoy, & Kubes, 2009), also can moderate the inflammatory response (Wisniewski & Vilcek, 1997). Intraarticular HA injection against knee OA is believed to act through HA-CD44 binding pathway in non-clinical basic science research (Altman, Manjoo, Fierlinger, Niazi, & Nicholls, 2015). HA-CD44 binding is reported to suppress interleukin-1beta (IL-1β), resulting in a down-regulation of proinflammatory cytokines including matrix metalloproteinases (MMPs), so as to alleviate inflammation in OA knee (Sasaki et al., 2004). However, recent evidence also demonstrated that HA degradation products induced an inflammatory response through CD44, resulting in increased IL-1β and proinflammatory cytokines production (Campo et al., 2012). Although there is little evidence on the association between CD44 expression and depression (Ditzen et al., 2012), Ventorp et al. (2016) reported that HA-CD44 signaling might play a role in the pathobiology of suicidal behavior owing to higher levels of HA and soluble CD44 in cerebrospinal fluid (CSF) from suicide attempters than healthy controls. Considering the negative effect of HA-CD44 pathway on depression, whether intrarticular HA injection among geriatric OA patients may increase the level of CSF HA-CD44 signaling so as to be detrimental to psychological symptoms still needs to be clarified. However, to the best of our knowledge, no empirical evidence of psychological outcomes (depression and anxiety) following viscosupplementation treatment in geriatric OA patients has been presented. This study is therefore designed to evaluate pain reduction, functional improvement and changes in depressive and anxious statuses following viscosupplementation treatment for OA patients who are older than 60 years. That is, this study serves to understand the aforementioned relationships among geriatric OA patients. Specifically, we hypothesized that psychological status (including anxiety and depression) among geriatric OA patients may not benefit from intraarticular HA injection owing to uncertain effects on pain reduction and functional improvement. Patients who had been diagnosed with knee OA and who attended orthopedic clinics for viscosupplementation treatment in Wan Fang Hospital, Taipei, Taiwan, from June 2016 to April 2018, were prospectively enrolled. All patients who seemed to be eligible for inclusion were contacted by the researchers and received detailed information. Further eligibility for enrollment was determined by applying the following inclusion and exclusion criteria. Qualified patients included men and women aged 60 years or above, who had suffered symptoms of knee OA, including pain and stiffness, for at least three months, at radiographic OA grade II–III according to the Kellgren and Lawrence (KL) grading scale (Kellgren & Lawrence, 1957). Excluded were patients with past or present trauma of, surgery on, cancer, malignant tumor or infection in, the target knee. Although past trauma or surgery to the knee is a known cause of OA, we excluded this subgroup because post-traumatic OA is different from primary OA. Specifically, post-traumatic OA usually attacks younger patients and has poor outcome even after total knee replacement compared with primary OA (El-Galaly et al., 2017). Patients with a history of vasovagal shock, who had used nonsteroidal anti-inflammatory drugs (NSAIDs) in the two days prior to injection, or had received corticosteroids by injection in the target knee in the preceding six months were also excluded from the study. The reason of excluding those taking NSAIDs in the two days prior to injection is to avoid the NSAIDs effects on baseline pain score. Patients with cognitive impairment, identified by screening using the Short Portable Mental Status Questionnaire (SPMSQ) with the cut-off at five or more errors, were also excluded (Pfeiffer, 1975). Basic demographic data including age, gender, marital status, education and underlying comorbidities were collected for each patient by face to face interview. Once the participants had consented to be enrolled, all participants completed questionnaires to evaluate metrics at baseline (before injection) and at follow-up at two, four, and 6 months using the following; the geriatric depression scale (GDS), the State-Trait Anxiety Inventory (STAI), the Western Ontario and McMaster University Osteoarthritis Index (WOMAC), the International Knee Documentation Committee subjective knee evaluation form (IKDC), and the Visual Analogue Scale (VAS) of pain severity. After the baseline survey had been completed, all participants underwent viscosupplementation treatment with low molecular weight hyaluronic acid product of 2mL Hya-Joint Synovial Fluid Supplement (SciVision Biotech Inc., Taiwan) with 500–730kDa once per week for 3 weeks. The protocol of intraarticular HA injection is based on the manufacturing recommendations (http://www.scivision.com.tw/en/products_01_show.php?pc=4&ps=1), which is a general treatment protocol in Wan Fang Hospital. At the follow-ups, all participants were permitted to choose simultaneous treatment with COX-II inhibitors (etoricoxib 60mg once daily). Other treatments, including intraarticular injection with a steroid or platelet-rich plasma were not allowed. The entire protocol and instrumentation were approved by the ethical committee at Taipei Medical University, and the ethical approval was registered as TMU-JIRB N201606003. All participants consented to the study and data publication. Measure of depression (Geriatric Depression Scale, GDS) and anxiety (State-Trait Anxiety Inventory, STAI). The 15-item version of the GDS for self-reporting has been validated for use with older people (Cruice, Worrall, & Hickson, 2011), including its Chinese version (Xie et al., 2015). The GDS involves 15 questions, answered with “yes” or “no”; a score of at least the cut-off value of 6 indicates clinically critical depressive symptoms (Dennis, Kadri, & Coffey, 2012). The STAI also involves self-reporting in response to a questionnaire, which comprises two sections of 20 statements each. The two sections concern two categories of anxiety: state-anxiety (S-Anxiety) and trait-anxiety (T-Anxiety). State-anxiety refers to a subjective and transitory feeling of tension, nervousness, and worry. Trait-anxiety refers to a relatively general tendency of an individual to perceive and respond to stressful situations with increased intensity. Participants rate themselves in answer to the associated questions using a four-point frequency scale. S-Anxiety was used in this study because T-Anxiety is related to the personality of an individual, and so is not relevant to this study. A higher score on the GDS or the STAI indicates greater depression or anxiety, respectively. The Chinese version of STAI has good concurrent validity (r=.61 with Leeds Scale for Self-Assessment of Anxiety), satisfactory test-retest reliability (r=.74), and promising internal consistency (α=.83; Lee, Lai et al., 2017; Lee, Lee et al., 2017). 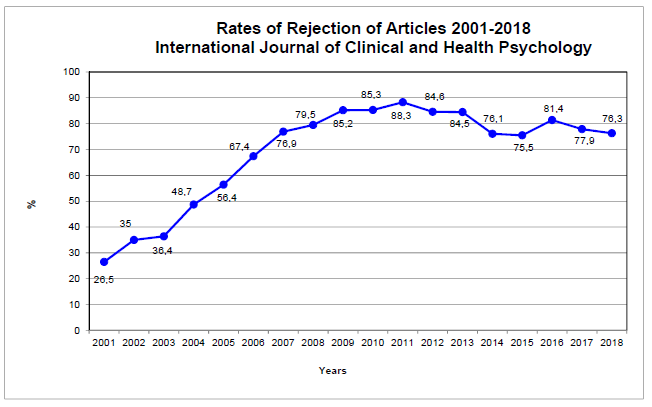 Additionally, the Chinese version of GDS has good concurrent validity (r=.75 with physician interviewed depression) and satisfactory internal consistency (α=.88; Xie et al., 2015). Measurements of knee function. Western Ontario and McMaster University Osteoarthritis Index (WOMAC) and the International Knee Documentation Committee subjective knee evaluation form (IKDC) were used to evaluate knee function. The WOMAC index involves a 24-item questionnaire with three subscales, which measure pain (five items, score range 0–20), stiffness (two items, score range 0–8), and physical function (17 items, score range 0–68) (Quintana et al., 2006). Each question is scored on a scale of 0–4, which corresponds to none (0), mild (1), moderate (2), severe (3), and extreme (4). The three subscale scores are summed to yield the WOMAC-total score. IKDC was first developed in 1987 by the International Knee Documentation Committee and updated and validated in 2001 (Irrgang et al., 2001). The IKDC is an 18-item, self-reported subjective evaluation that involves questions concerning symptoms, sports activities and function. Response options vary among the questions, with different points on the numerical rating scales. A single score is computed from all components from zero (severe symptoms, pain, and restrictions) to 100 (normal knee, no restrictions or pain). The Chinese versions of WOMAC and IKDC have been well developed and demonstrated to provide acceptable psychometric properties (Fu & Chan, 2011; Symonds, Hughes, Liao, Ang, & Bellamy, 2015; Xie et al., 2008). Specifically, the Chinese version of WOMAC has acceptable test-retest reliability indicated by intraclass correlation coefficients (ICCs=.76–.85), strong internal consistency (α=.84–.96), and adequate concurrent validity (r=−.39 to −.31 with physical component summary of the SF-36; Symonds et al., 2015). Moreover, the Chinese version of IKDC has excellent internal consistency (α=.97) and good concurrent validity (r=.64 with physical function and bodily pain; Fu & Chan, 2011). A higher WOMAC or IKDC score indicates worse or better knee function, respectively. Visual Analog Scale (VAS). The VAS is an instrument that is regularly used to measure pain intensity on the 0–10cm scale, anchored by “no pain” (score of 0) and “the most extreme pain possible” or “worst imaginable pain” (score of 10) (Flandry, Hunt, Terry, & Hughston, 1991). In this study, the participants’ subjective responses regarding the intensity of pain in the injected knee are recorded. If both knees are injected, then the VAS score for the left side is recorded first; followed by that for the right side. The researcher asked the patients, “On a 0–10 scale, how severe has been the worst pain that you have experienced within the last week?” In the follow-up sessions, the researcher again asked about the pain. The VAS has excellent test-retest reliability (ICC=0.95; Letzen, Boissoneault, Sevel, & Robinson, 2016) and adequate concurrent validity (r=−.60 with the Pain degree subscale of Larson Knee Scale; Flandry et al., 1991). Descriptive statistics, including mean (SD) and frequency, were used to elucidate the characteristics of the participants. The linear mixed effects model was used to understand the changes of numerous outcomes (including anxiety, depression, pain, and knee functions) over time after a geriatric OA patient injected HA though the changes could be due to intraarticular HA injection or illness course. Specifically, repeated measurements were made using the following instruments to evaluate the dependent variables in the model: state scale of the STAI, GDS, VAS in left knee pain, VAS in right knee pain, IKDC, each WOMAC subscale, and WOMAC total score. We used VAS in left knee pain and VAS in right knee pain because some participants had one knee pain (either left or right) and most had two knees pain. Given that the participants having two knees pain might report different VAS score in different knees, we decided to separate analyzing left knee pain and right knee pain. Therefore, the linear mixed effects model using VAS in left knee pain as dependent variable only analyzed those who reported left knee pain (either the participant had pain in left knee or pain in both knees). Similar practice was applied to the linear mixed effects model using VAS in right knee pain as dependent variable. The primary predictors of the aforementioned dependent variables were the follow-up measures at two, four, and six months and each follow-up measure was compared with baseline measure to determine the effects of hyaluronic acid. In all of the mixed effects models, gender, marital status, comorbidities (hypertension, diabetes mellitus, heart disease, depression, and cancer), and age were controlled because these factors may be confounders in patient-reported outcomes (Chang, Yen, Jang, Su, & Lin, 2017; Huang, Chen, Pakpour, & Lin, 2018; Lee, Lai et al., 2017; Lee, Lee et al., 2017; Lee et al., 2018). Specifically, linear effect was estimated for age, and categorical effects were estimated for other independent variables. In the linear mixed effects model, a restricted maximum likelihood estimator was used with the effect of time was defined as random effect; the variance-covariance matrix we used was the commonly used first-order autoregreesive (AR (1)) model. Also, we set the absolute log-likelihood convergence and absolute Hessian convergence at 0; absolute parameter convergence at 0.000001. Akaike index criterion (AIC), Bayesian information criterion (BIC), and consistent AIC (CAIC) were calculated for model information. All the statistics were calculated using IBM SPSS 23.0 (IBM Corp., Armonk, N.Y., USA). After screening 149 participants, 47 were excluded and the retained 102 participants all agreed to participate in this study (Figure 1). A total of 102 participants were considered in the analysis. Most of the participants were females (n=74; 72.5%), and the mean age of the whole sample was 70.9 (SD=7.2) years. Nearly four fifths of the participants had hyaluronic acid injected into both knees (n=80), and approximately 10% of the participants had an intraarticular HA injection in either the left knee (n=10) or the right knee (n=12). The most frequent comorbidity was hypertension (n=63), followed by heart disease (n=20) and diabetes mellitus (n=19). The sample had a relatively high educational level, as nearly 30% of the participants had at least a bachelor's degree (Table 1). Flow chart of the study procedure. After controlling for confounders listed in Table 2, intraarticular HA injection was found to have no effects on anxiety. Interestingly, intraarticular HA injection had a significantly negative effect on depression at the four month follow-up (coefficient=0.48, SE=0.23; p=.04). However, intraarticular HA injection relieved knee pain at the two month follow-up (coefficient=−1.49 and −1.24, SE=0.22 and 0.20, p<.001, for left knee and right knee, respectively). The pain relief was maintained to the four month follow-up (coefficient=−0.76, SE=0.28, p=.007) but with a reduced effect (Table 2). Age and gender effects were not significant on anxiety, depression, and pain. Changes of anxiety, depression, and pain over time after participants injected intraarticular hyaluronic acid. State and Trait Anxiety Inventory; only the state scale was used. Only included those who had injected hyaluronic acid at left knee or both knees; n=90. Only included those who had injected hyaluronic acid at right knee or both knees; n=92. GDS=Geriatric Depression Scale; VAS_L=Visual Analogue Scale on left knee pain; VAS_R=Visual Analogue Scale on right knee pain. After controlling for confounders listed in Table 3, intraarticular HA injection was found to improve the knee functions of the participants at the two month follow-up: coefficient=3.30, SE=0.89, p<.001 for IKDC; coefficient=−1.06, SE=0.32, p=.001 on the WOMAC pain subscale; coefficient=−0.43, SE=0.15, p=.005 on the WOMAC stiffness subscale; coefficient=−2.71, SE=0.87, p=.002 on the WOMAC physical function subscale; and coefficient=−4.21, SE=1.19, p<.001 for the WOMAC total score. However, the effects were diminished at the four and six month follow-ups (Table 3). Age and gender effects were not significant on IKDC and WOMAC. Changes of knee function over time after participants injected intraarticular hyaluronic acid. IKDC=The International Knee Documentation Committee Questionnaire; WOMAC=Western Ontario and McMaster University Osteoarthritis Index. This exploratory study demonstrates that viscosupplementation treatment for elderly patients with knee OA improved knee function and reduced pain. However, the duration of the effect of intraarticular HA injection was shorter than anticipated: pain was improved for four months; knee function was improved for two months. This study also demonstrates that intraarticular HA injection might not reduce the anxiety of geriatric OA patients and worsened depressive status at the four month follow-up though the negative findings might be due to the illness course. Although intraarticular HA injection is a commonly used intra-articular therapy for knee OA, controversy surrounds the effect of viscosupplementation treatment because of the inconsistent results and conclusions in the literature (Bellamy et al., 2006; Rutjes et al., 2012). Unanimity has not yet been reached on the usefulness of intraarticular HA injections for treating knee OA (Altman, Schemitsch, & Bedi, 2015). Nevertheless, a recently published network meta-analysis revealed that intraarticular HA injection is an effective short-term treatment option for pain due to knee OA, and even more efficacious than NSAIDs, intraarticular corticosteroid or placebo injection (Bannuru et al., 2015). Evidence suggests that HA has significant short-term efficacy (up to six months) in treating knee OA pain (Bannuru, Natov, Dasi, Schmid, & McAlindon, 2011; He et al., 2017), and that a repeated course of viscosupplementation treatment every six months maintains or increases pain reduction (Altman, Hackel, Niazi, Shaw, & Nicholls, 2018). The results in this study are consistent with previous findings that intraarticular HA injection significantly reduces pain and improves the knee function of geriatric people with knee OA. However, unlike previous studies on the efficacy of intraarticular HA injection (Bannuru et al., 2011), this study reveals that viscosupplementation treatment exhibited only short-term efficacy for up to four months (or less). One cause may be the older age (average 70.91 years) of our study group and their consequent suffering of more severely degenerate knee joints. Evidence in other studies also demonstrates that elderly OA patients may not benefit from viscosupplementation treatment as much as younger patients, who experience a longer period of functional improvement of the knee (Pelletier et al., 2018; Ucar, Diracoglu, Suleyman, & Capan, 2013). Additionally, the HA with the low molecular weight (500–730kDa) that was utilized in our study may not be as efficient as that with high molecular weight (6000–7000kDa), used in other studies (Boutefnouchet, Puranik, Holmes, & Bell, 2017). The effectiveness of viscosupplementation treatment in pain reduction and functional improvement may benefit from an increased frequency of HA injections, with a period of only four months instead of six months, for geriatric patients. HA with a high molecular weight may facilitate the maintenance of the long-term efficacy of the injections in geriatric populations with chronic knee pain. Even with the significant short-term reduction of pain and improvement of knee function, this study surprisingly found that intraarticular HA injection seemed not reduce anxiety and even might negatively affected the depressive status of participants who were undergoing viscosupplementation treatment. Depressive status had significantly deteriorated at the four month follow-up, when the effectiveness of intraarticular HA injection in pain relief and improving knee function were reduced. The lack of a relationship of anxiety and depressive status with pain and functional improvement may be possibly explained by high expectations for the long-term efficacy of intraarticular HA injection, which caused the participants to be disappointed by their actual experience. Patients have been suggested to have high expectations of viscosupplementation treatment, which may cause a placebo effect as high as 30–40% (Fibel, Hillstrom, & Halpern, 2015). Our finding may elucidate that the concepts of patients’ expectations, and effects of disappointment when medical treatments do not cure the problem, may be of broad relevance, far beyond the arthritis clinic. Considering the short-term efficacy of viscosupplementation treatment in the geriatric population, health education regarding the short-term effectiveness of viscosupplementation should be clearly provided to geriatric OA patients before injection to prevent them from having an unreasonable expectation of the efficacy of the treatment. Similarly, clinicians who provide service to other types of patients may also want to consider the possible adverse effects on psychological status when the treatment effects disappoint the patients. In order to support our postulation that there is a mismatch on expectations (i.e., high expectation on knee function improvement and high depression); a mediation test was further carried out. That is, pain and knee functions should be mediators in the association between HA injection and depression, we reanalyzed our data using the four-step method proposed by Baron and Kenny (Baron & Kenny, 1986; Huang et al., 2018) to examine the mediated effects of pain and knee functions in the association between intraarticular HA injection and depression. The four-step method includes three linear mixed effects models: the first model examined whether intraarticular HA injection significantly explained depression; the second model examined whether intraarticular HA injection significantly explained pain or knee function; the third model examined whether pain or knee function significantly explained depression when intraarticular HA injection was taken into account. When all the three models are supported, the mediated effects are confirmed. Because the first and second models were in accordance with our results in Tables 2 and 3, we additionally analyzed the third model. Our results indicated that depression, pain, and knee function were significantly explained by intraarticular HA injection (Tables 2 and 3); depression was significantly explained by pain (coefficient=0.24, SE=0.05, p<.001 for VAS in left knee pain; coefficient=0.23, SE=0.06, p<.001 for VAS in right knee pain) and knee function (coefficient=−0.08, SE=0.01, p<.001 for IKDC; coefficient=0.16, SE=0.03, p<.001 on the WOMAC pain subscale; coefficient=0.15, SE=0.07, p=.03 on the WOMAC stiffness subscale; coefficient=0.08, SE=0.10, p<.001 on the WOMAC physical function subscale; and coefficient=0.05, SE=0.01, p<.001 for the WOMAC total score). However, the mediated effects did not have strong evidence in causal relationships because the linear mixed effects models used the same time points for retrieving coefficients. We thus further conducted cross-lagged analyses to provide strong evidence in the temporal association between knee functions/pain and depression. Three cross-lagged models were constructed: Model 1 was a stability model with associations only between the same variables (e.g., knee functions affects only knee functions; depression affects only depression); Model 2 was a lagged model that adds the lagged effects of proposed cause (i.e., knee functions or pain at baseline) to our proposed result (i.e., depression at month 2) to Model 1; Model 3 was another lagged model that adds the lagged effects of our proposed result to our proposed cause (i.e., depression at baseline additionally affect knee functions/pain at month 2) to Model 1. All the Models 2 significantly outperformed Models 1 (χ2=9.59–18.96; df=3; p=.02 to <001), except for WOMAC stiffness subscale (χ2=5.58; p=0.13) and VAS in left knee pain (χ2=5.79; p=0.12). All the Models 3 significantly outperformed Models 1 (χ2=10.21–14.23; df=3; p=.02–.003), except for IKDC (χ2=3.97; p=.27), VAS in left knee pain (χ2=3.74; p=0.29), and VAS in right knee pain (χ2=7.28; p=.06). Therefore, we tentatively concluded that our postulation above is supported. However, future studies are required to examine the effectiveness of health education for geriatric OA patients. This study has some limitations. First, only 102 elderly participants, who might not represent the geriatric population with knee OA throughout Taiwan. Second, this study did not involve a randomized control trial. Thus, potential biases, such as maturation or history effects, might not have been eliminated. Specifically, given the lack of a control group, we were unable to control the effects of illness course on our studied outcomes. Therefore, it is unclear whether our findings were really resulted from intraarticular HA injection. Third, all participants in this study were allowed combined treatment with COX-II inhibitors for pain control at will during the follow-ups. This fact might have influenced the pain relief after viscosupplementation treatment. Fourth, the measurements of knee function using WOMAC and IKDC were all based on patient-reported questionnaires, rather than evaluation by physicians. Improvement in knee function, including range of motion and gait, was not objectively evaluated in this study. Finally, given no proposed biological mechanism in the relationship between itraarticular HA injection and psychiatric symptoms, our study is exploratory research. Due to the nature of exploratory research, we did not control for the multiple comparisons in our analyses, and future studies based on our preliminary findings are warranted to investigate any possible biological mechanisms. However, even with these limitations, this study is the first to elucidate the effect of intraarticular HA injection on depressive status among geriatric patients with knee OA. Although intraarticular HA injection for treating OA has short-term efficacy in pain relief and functional improvement, it may not improve anxiety or depressive status among geriatric people. Further attention is recommended paid to the anxiety and depressive status of geriatric people with knee OA. Detailed health education may be needed before viscosupplementation treatment to prevent an unduly high expectation of the treatment for geriatric OA patients. Healthcare providers may also want to closely detect the possible adverse effects on psychological status when the treatment effects disappoint other types of patients. Mental health and quality of life of elderly people in the Bethlehem district: a cross-sectional study. R. Altman, J. Hackel, F. Niazi, P. Shaw, M. Nicholls. Efficacy and safety of repeated courses of hyaluronic acid injections for knee osteoarthritis: A systematic review. R.D. Altman, A. Manjoo, A. Fierlinger, F. Niazi, M. Nicholls. The mechanism of action for hyaluronic acid treatment in the osteoarthritic knee: A systematic review. R.D. Altman, E. Schemitsch, A. Bedi. Assessment of clinical practice guideline methodology for the treatment of knee osteoarthritis with intra-articular hyaluronic acid. R.R. Bannuru, N.S. Natov, U.R. Dasi, C.H. Schmid, T.E. McAlindon. Therapeutic trajectory following intra-articular hyaluronic acid injection in knee osteoarthritis – meta-analysis. R.R. Bannuru, C.H. Schmid, D.M. Kent, E.E. Vaysbrot, J.B. Wong, T.E. McAlindon. Comparative effectiveness of pharmacologic interventions for knee osteoarthritis: A systematic review and network meta-analysis. The moderator-mediator variable distinction in social psychological research: Conceptual, strategic, and statistical considerations. N. Bellamy, J. Campbell, V. Robinson, T. Gee, R. Bourne, G. Wells. Viscosupplementation for the treatment of osteoarthritis of the knee. T. Boutefnouchet, G. Puranik, E. Holmes, K.M. Bell. Hylan GF-20 viscosupplementation in the treatment of symptomatic osteoarthritis of the knee: Clinical effect survivorship at 5 years. N. Brandolim Becker, S.N. de Jesus, J.N. Viseu, C.D. Stobäus, M. Guerreiro, R.B. Domingues. Depression and quality of life in older adults: Mediation effect of sleep quality. G.M. Campo, A. Avenoso, A. D’Ascola, M. Scuruchi, V. Prestipino, G. Nastasi, A. Calatroni, S. Campo. The inhibition of hyaluronan degradation reduced pro-inflammatory cytokines in mouse synovial fibroblasts subjected to collagen-induced arthritis. C.-C. Chang, C.-F. Yen, F.-L. Jang, J.-A. Su, C.-Y. Lin. Comparing affiliate stigma between family caregivers of people with different severe mental illness in Taiwan. M. Cruice, L. Worrall, L. Hickson. Reporting on psychological well-being of older adults with chronic aphasia in the context of unaffected peers. Disability and Rehabilitation. R. Day, P. Brooks, P.G. Conaghan, M. Petersen, G. Multicenter Trial. A double blind, randomized, multicenter, parallel group study of the effectiveness and tolerance of intraarticular hyaluronan in osteoarthritis of the knee. E.J. De Koning, E.J. Timmermans, N.M. van Schoor, B. Stubbs, T.N. van den Kommer, E.M. Dennison, F. Limongi, M.V. Castell, M.H. Edwards, R. Queipo, C. Cooper, P. Siviero, S. van der Pas, N.L. Pedersen, M. Sanchez-Martinez, D.J.H. Deeg, M.D. Denkinger, EPOSA Group. Within-person pain variability and mental health in older adults with osteoarthritis: An analysis across 6 European cohorts. M. Dennis, A. Kadri, J. Coffey. Depression in older people in the general hospital: A systematic review of screening instruments. C. Ditzen, N. Tang, A.M. Jastorff, L. Teplytska, A. Yassouridis, G. Maccarrone, M. Uhr, T. Bronisch, C.A. Miller, F. Holsboer, C.W. Turck, C.W. Turck. Cerebrospinal fluid biomarkers for major depression confirm relevance of associated pathophysiology. A. El-Galaly, S. Haldrup, A.B. Pedersen, A. Kappel, M.U. Jensen, P.T. Nielsen. Increased risk of early and medium-term revision after post-fracture total knee arthroplasty. K.H. Fibel, H.J. Hillstrom, B.C. Halpern. State-of-the-Art management of knee osteoarthritis. F. Flandry, J.P. Hunt, G.C. Terry, J.C. Hughston. Analysis of subjective knee complaints using visual analog scales. Translation and validation of chinese version of international knee documentation committee subjective knee form. W.W. He, M.J. Kuang, J. Zhao, L. Sun, B. Lu, Y. Wang, J.X. Ma, X.L. Ma. Efficacy and safety of intraarticular hyaluronic acid and corticosteroid for knee osteoarthritis: A meta-analysis. C.G. Helmick, D.T. Felson, R.C. Lawrence, S. Gabriel, R. Hirsch, C.K. Kwoh, M.H. Liang, H.M. Kremers, M.D. Mayes, P.A. Merkel, S.R. Pillemer, J.D. Reveille, J.H. Stone, National Arthritis Data Workgroup. Estimates of the prevalence of arthritis and other rheumatic conditions in the United States: Part I.
W.-Y. Huang, S.-P. Chen, A.H. Pakpour, C.-Y. Lin. The mediation role of self-esteem for self-stigma on quality of life for people with schizophrenia: A retrospectively longitudinal study. J.J. Irrgang, A.F. Anderson, A.L. Boland, C.D. Harner, M. Kurosaka, P. Neyret, J.C. Richmond, K.D. Shelborne. Development and validation of the international knee documentation committee subjective knee form. M. Johansen, H. Bahrt, R.D. Altman, E.M. Bartels, C.B. Juhl, H. Bliddal, H. Lund, R. Christensen. Exploring reasons for the observed inconsistent trial reports on intra-articular injections with hyaluronic acid in the treatment of osteoarthritis: Meta-regression analyses of randomized trials. R.C. Lawrence, D.T. Felson, C.G. Helmick, L.M. Arnold, H. Choi, R.A. Deyo, S. Gabriel, R. Hirsch, M.C. Hochberg, G.G. Hunder, J.M. Jordan, J.N. Katz, H.M. Kremers, F. Wolfe, National Arthritis Data Workgroup. Estimates of the prevalence of arthritis and other rheumatic conditions in the United States: Part II. C.-H. Lee, C.-L. Lai, Y.-H. Sung, M.Y. Lai, C.-Y. Lin, L.-Y. Lin. Comparing effects between music intervention and aromatherapy on anxiety of patients undergoing mechanical ventilation in the intensive care unit: A randomized controlled trial. C.-H. Lee, C.-Y. Lee, M.-Y. Hsu, C.-L. Lai, Y.-S. Sung, C.-Y. Lin, L.-Y. Lin. Effects of music intervention on state anxiety and physiological indices for patients undergoing mechanical ventilation in the intensive care unit: A randomized controlled trial. C.-H. Lee, J.-T. Liu, S.-C. Lin, T.-Y. Hsu, C.-Y. Lin, L.-Y. Lin. Effects of educational intervention on state anxiety and pain in people undergoing spinal surgery: A randomized controlled trial. J.E. Letzen, J. Boissoneault, L.S. Sevel, M.E. Robinson. Test-retest reliability of pain-related functional brain connectivity compared to pain self-report. G.B. Menezes, E.F. McAvoy, P. Kubes. Hyaluronan, platelets, and monocytes: A novel pro-inflammatory triad. S. Moussavi, S. Chatterji, E. Verdes, A. Tandon, V. Patel, B. Ustun. Depression, chronic diseases, and decrements in health: Results from the World Health Surveys. S.J. Newberry, J.D. Fitzgerald, M.A. Maglione, C.E. O’Hanlon, M. Booth, A. Motala, M. Timmer, R. Shanman, P.G. Shekelle. J.P. Pelletier, J.P. Raynauld, F. Abram, M. Dorais, P. Delorme, J. Martel-Pelletier. Exploring determinants predicting response to intra-articular hyaluronic acid treatment in symptomatic knee osteoarthritis: 9-year follow-up data from the Osteoarthritis Initiative. A short portable mental status questionnaire for the assessment of organic brain deficit in elderly patients. J.M. Quintana, A. Escobar, I. Arostegui, A. Bilbao, J. Azkarate, J.I. Goenaga, J.C. Arenaza. Health-related quality of life and appropriateness of knee or hip joint replacement. J. Richmond, D. Hunter, J. Irrgang, M.H. Jones, L. Snyder-Mackler, D. Van Durme, C. Rubin, E.G. Matzkin, R.G. Marx, B.A. Levy, W.C. Watters 3rd, M.J. Goldberg, M. Keith, R.H. Haralson 3rd, C.M. Turkelson, J.L. Wies, S. Anderson, K. Boyer, P. Sluka, J. St Andre, R. McGowan, American Academy of Orthopaedic Surgeons. American Academy of Orthopaedic Surgeons clinical practice guideline on the treatment of osteoarthritis (OA) of the knee. A.W. Rutjes, P. Juni, B.R. da Costa, S. Trelle, E. Nuesch, S. Reichenbach. Viscosupplementation for osteoarthritis of the knee: A systematic review and meta-analysis. A. Sasaki, K. Sasaki, Y.T. Konttinen, S. Santavirta, M. Takahara, H. Takei, T. Ogino, M. Takagi. Hyaluronate inhibits the interleukin-1beta-induced expression of matrix metalloproteinase (MMP)-1 and MMP-3 in human synovial cells. Overview: Depression in the elderly. The Chinese version of the State-Trait Anxiety Inventory: Its relationship to different measures of psychological well-being. K. Sugai, F. Takeda-Imai, T. Michikawa, T. Nakamura, T. Takebayashi, Y. Nishiwaki. Association between knee pain, impaired function, and development of depressive symptoms. T. Symonds, B. Hughes, S. Liao, Q. Ang, N. Bellamy. Validation of the chinese western ontario and mcmaster universities osteoarthritis index in patients from mainland china with osteoarthritis of the knee. D. Ucar, D. Diracoglu, T. Suleyman, N. Capan. Intra-articular hyaluronic Acid as treatment in elderly and middle-aged patients with knee osteoarthritis. F. Ventorp, R. Barzilay, S. Erhardt, M. Samuelsson, L. Traskman-Bendz, S. Janelidze, A. Weizman, D. Offen, L. Brundin. The CD44 ligand hyaluronic acid is elevated in the cerebrospinal fluid of suicide attempters and is associated with increased blood-brain barrier permeability. TSG-6: an IL-1/TNF-inducible protein with anti-inflammatory activity. F. Xie, S.-C. Li, R. Goeree, J.-E. Tarride, D. O’Reilly, N.-N. Lo, S.-J. Yeo, K.-Y. Yang, J. Thumboo. Validation of Chinese Western Ontario and McMaster Universities Osteoarthritis Index (WOMAC) in patients scheduled for total knee replacement. Z. Xie, X. Lv, Y. Hu, W. Ma, H. Xie, K. Lin, X. Yu, H. Wang. Development and validation of the geriatric depression inventory in Chinese culture.